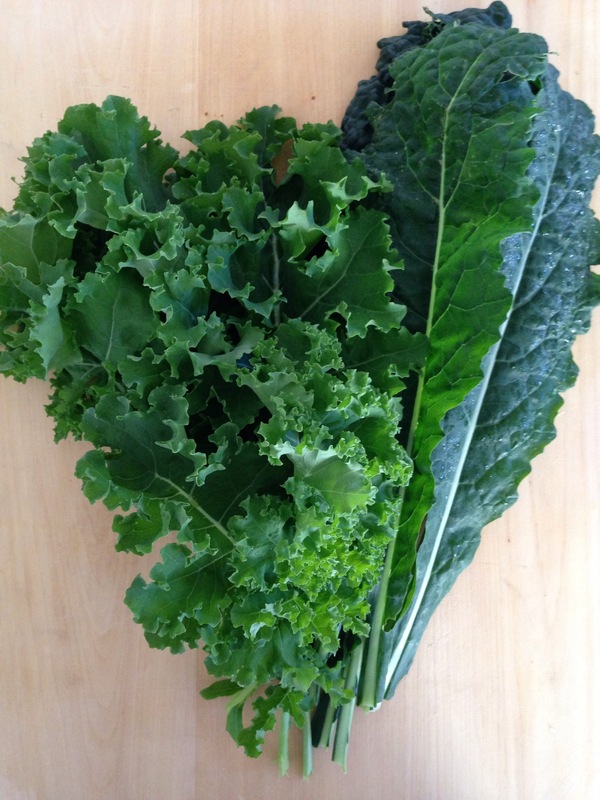 This is the first harvest of kale from our garden this year. To the left is a variety called ‘Drawf Blue’ and to the right is ‘Black Toscana’. I didn’t take many leaves off the parent plants because I want them to keep growing strong – and Spring has only really just begun. This lot however is just enough for me to cook up a small dish for the family. I’m thinking a creamy pasta with shredded kale stirred through and topped with toasted pine nuts.